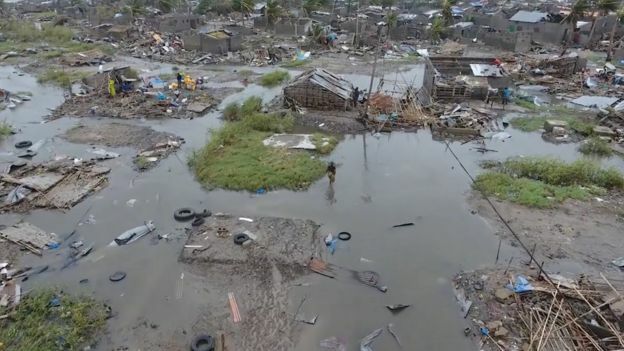 Mozambique’s port city of Beira is reeling from the damage inflicted by Cyclone Idai. So far 200 people have been confirmed dead in the southern African country, along with another 100 in neighbouring Zimbabwe, but the death toll could be much higher. 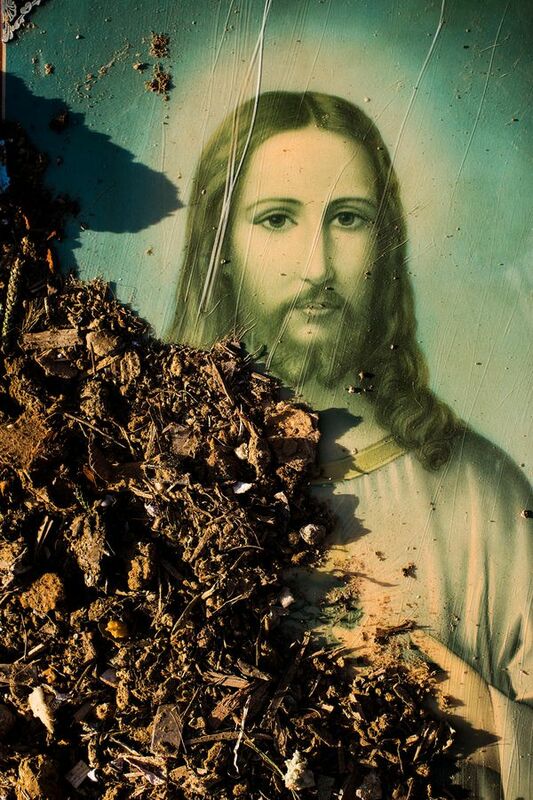 Those who survived the disaster have had little reprieve to mourn the loss of their loved ones or salvage the little that is remaining of their belongings. They are in desperate need of food, shelter and clothing, as the BBC’s Pumza Fihlani reports from Beira. Inside a makeshift response centre at the airport in Beira, aid agencies are scrambling to get to those still trapped across the region. It’s the first point of call for all the teams coming in from around the world and offers the first glimpse of how heavily this operation is relying on outside help. A few kilometres away, panic is setting in. The people of Beira are growing anxious – help is coming, but it is really slow and not nearly enough. “I have nothing. I have lost everything. We don’t have food. I don’t even have blankets. We need help,” one woman tells me as we make our way through the village of Manhava. 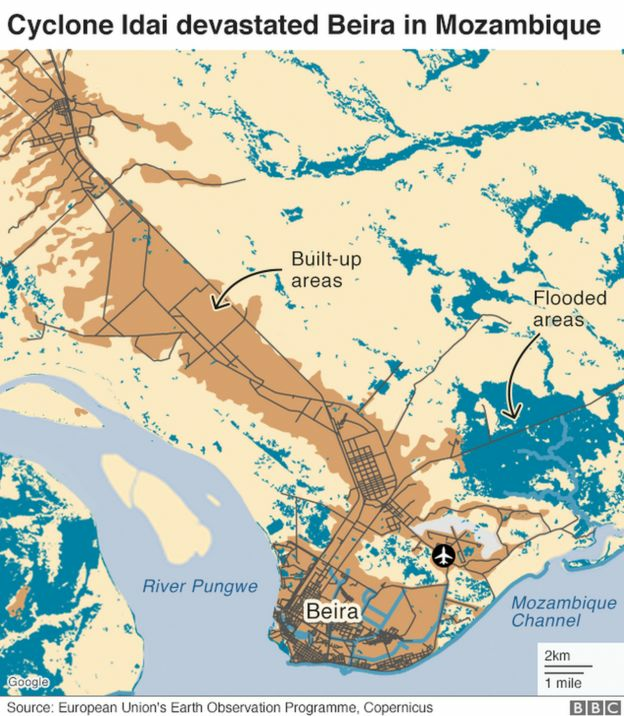 Beira’s geography, with parts of it lying below sea level, has always made it vulnerable to effects of extreme weather like Cyclone Ida which made landfall last week with winds of up to 177 km/h (106 mph). 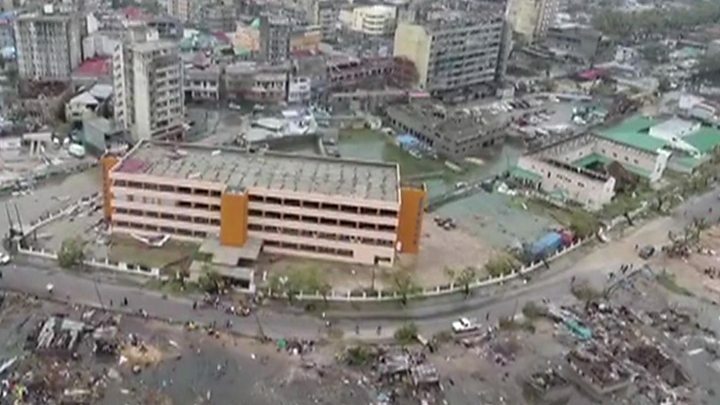 The city bore the full brunt of the destructive storm, which triggered flooding of the whole city and knocked down buildings and cut off roads. This is now stalling rescuers from reaching desperate people in need. Some people here are trying to salvage what they can to create shelter. Those who can are repairing their metal roofs, while others are tying together pine branches to sleep under. Homes have been damaged, some even completely destroyed, and there are pools of water everywhere. A local church has become a temporary home for scores of people. Half of its roof was blown off, but the walls have held and to some it is better than being out in the cold. The UN has said that Cyclone Idai triggered a “massive disaster” in southern Africa, affecting hundreds of thousands if not millions of people. Neighbouring Zimbabwe and Malawi have also been affected by the freak storm that has caused the deaths of dozens and displacement of thousands of people. Everyone we come across here is begging us to come into their homes to show us what they have lost and how nature has stolen from them. We are the first people they have seen since the cyclone hit on Thursday night. “Please help us. Tell the world we are suffering. 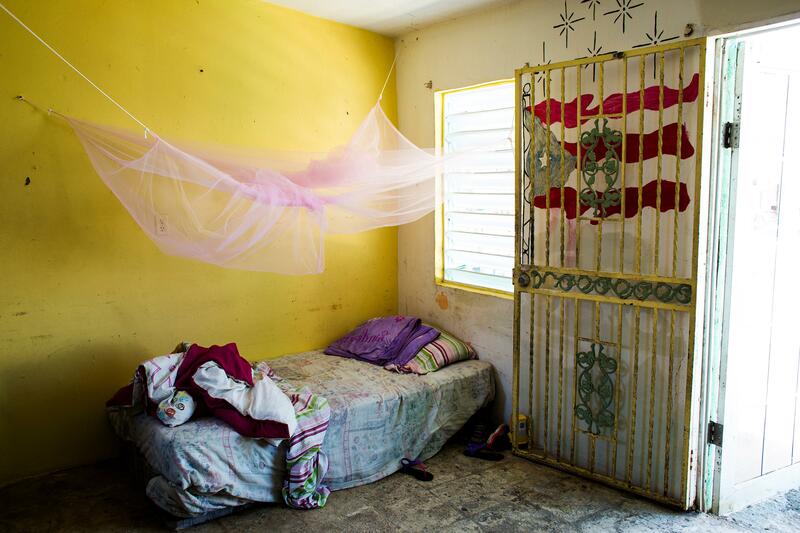 We don’t know where we are going to sleep,” says Pedro, a father of three children – all under the age of 10. The residents here feel like they have been forgotten. As the full picture of this crisis slowly becomes clear, there are questions about whether the government of Mozambique could have done more to prepare for the disaster. The floods of the year 2000 claimed hundreds of lives and yet some here feel lessons have not been learned. “Our city was destroyed so easily because our infrastructure is not taken care of. Every time there is a problem here we need foreign countries to save us. What is our government doing, what is our own plan?” our driver asks me. Back at the airport, a helicopter has just landed and rescue workers rush out, carrying in their arms children whose eyes are wide with fear. “Many villages have been washed away. We found women and children holding on to trees. We are doing what we can,” said one of the rescuers. Many of those trapped are trying to get to higher ground but persistent rainfall has been hampering rescue operations. Those rescued are being taken to a network of 56 camps dotted across the region. More rains are expected and those who made it to safety are the lucky ones. 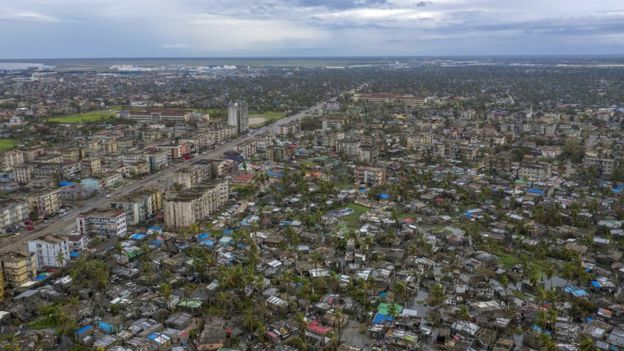 Mozambique President Felipe Nyusi has said more than 100,000 people are at risk – and there is growing concern that help may not get to them in time. Cyclone Idai has triggered a “massive disaster” in southern Africa affecting hundreds of thousands if not millions of people, the UN has said. The region has been hit by widespread flooding and devastation affecting Mozambique, Zimbabwe and Malawi. Mozambique’s President Filipe Nyusi called it “a humanitarian disaster of great proportion”. He said more than 1,000 people may have been killed after the cyclone hit the country last week. 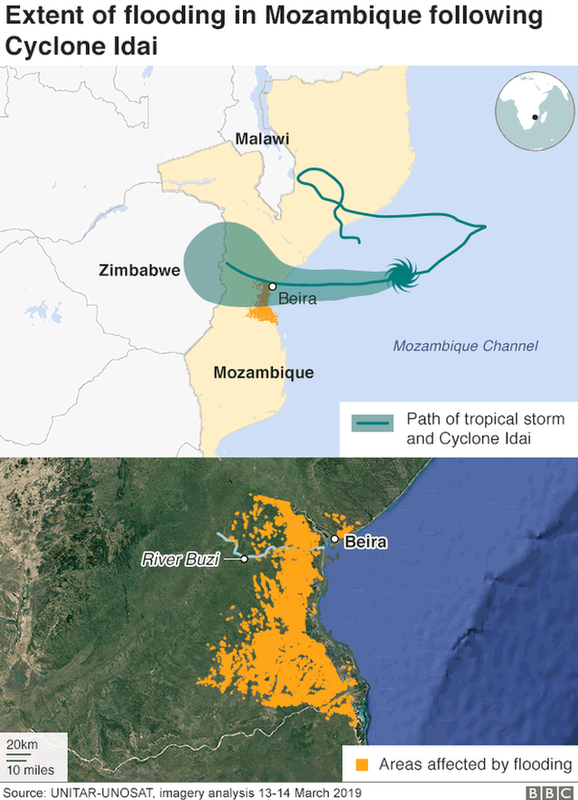 Cyclone Idai made landfall near the port city of Beira in Sofala province on Thursday with winds of up to 177 km/h (106 mph). “This is shaping up to be one of the worst weather-related disasters ever to hit the southern hemisphere,” Clare Nullis, from the UN’s weather agency, told the BBC on Tuesday. Mozambique’s government said 84 people had died and 100,000 needed to be urgently rescued near Beira. 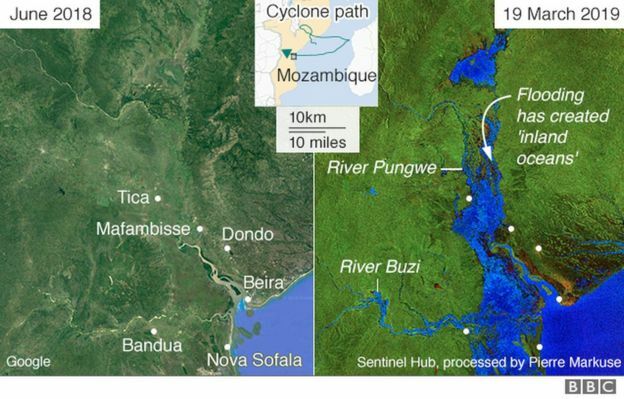 An aerial survey of the province showed that a 50km (30 mile) stretch of land was under water after the Buzi river burst its banks, charity Save The Children said. The governor of neighbouring Manica province, Manuel Rodrigues, says there is an urgent need to rescue people still trapped, the BBC’s Jose Tembe reports. “It’s very sad and very complicated, given what we saw when we flew over the area. We saw people besieged and asking for help,” Mr Rodrigues told reporters. “They were on top of their roofs made up of zinc sheets. Others under flood waters. We saw many people. It was my son’s birthday on 14 March and we were all at home. In the morning this strong storm started and it was moving the city, the trees, and the houses. It was like a war. It was horrific. The children were crying and we were hiding in the bathroom. I could see people dying and the house where I live has been destroyed. There are children who now have no father, no mother, and no home. I saw the city where I grew up being destroyed with my naked eyes. In Beira, there are no basic services and people don’t know what they’re going to eat or where they’re going to sleep. I haven’t been able to sleep since that night. In Zimbabwe, the government says 98 people have been killed and more than 200 are missing. President Emmerson Mnangagwa said that the government was conducting rescue missions and delivering food aid. In the south-eastern town of Chimanimani residents told harrowing stories of how they lost their relatives when the storm hit. 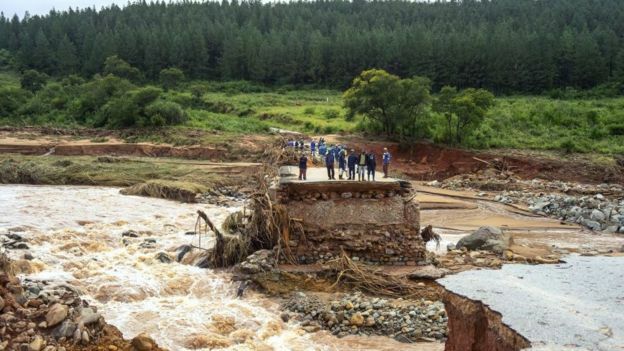 Some rescuers said homes and even bodies were washed away in the rivers to neighbouring Mozambique, the BBC’s Shingai Nyoka reports. 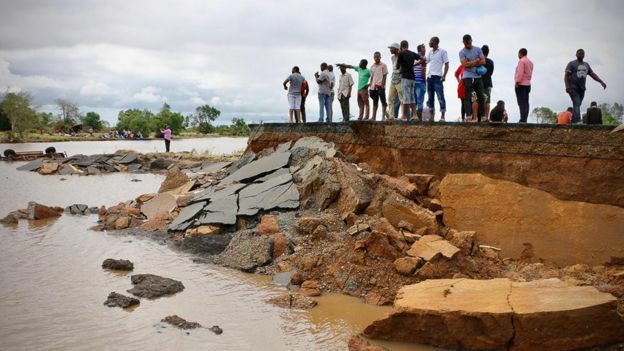 Floods of up to six metres deep had caused “incredible devastation” over a huge area in Mozambique, World Food Programme regional chief Lola Castro said. At least 1.7 million people were in the direct path of the cyclone in Mozambique and 920,000 have been affected in Malawi, the UN said. In Zimbabwe, at least 20,000 houses have been partially damaged in the south-eastern town of Chipinge, 600 others were completely destroyed. Local officials say they are distributing rice and maize from the national food reserve to those displaced. What are the relief teams doing? 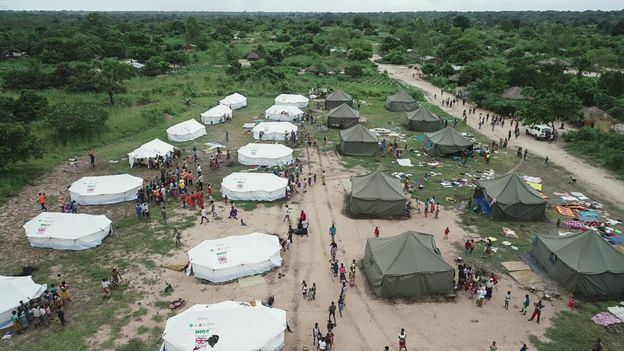 In Mozambique, several aid agencies are assisting government efforts in the search and rescue operations and in the distribution of food aid, ReliefWeb reports. Telecoms Sans Frontiers has sent a team to Beira to help set up communication networks – which has been severely hindered – for humanitarian operations. Many aid trucks are stuck on the impassable roads and unable to reach their destinations. The conditions have also limited air operations. Mozambique’s National Institute for Disaster Management is also housing 3,800 families in Sofala province. The Red Cross has warned there could be an outbreak of waterborne diseases, including cholera, due to the expected contamination of the water supply and disruption of usual water treatment. A cargo plane carrying emergency supplies is also scheduled to arrive in Mozambique on Tuesday, Sacha Myers, from Save The Children, told the BBC. As Cyclone Gaja made landfall at around 1.40 am, with its “eye” reaching the coasts between Nagapattinam and Vedaranyam, the intensity of the winds decreased for a brief period before rising again. Tens of thousands of people were evacuated on Friday as Cyclone Gaja crossed the Tamil Nadu coast between Nagapattinam and nearby Vedaranniyam uprooting trees and destroying houses in its path. “The severe cyclonic storm Gaja crossed Tamil Nadu and Puducherry coast between Nagapattinam and Vedaranniyam … with a wind speed of 100-110 kmph gusting up to 120 kmph…,” the India Meteorological Department (IMD) said in its latest bulletin at 4am. “It is very likely to move nearly westwards and weaken gradually into a cyclonic storm during next 06 hours. Though center of cyclone lies over land, rear sector of eye wall is still over sea. It will take about an hour to move over land,” it said. The Tamil Nadu State Disaster Management Authority said 76,290 people were evacuated from low lying areas and sheltered at over 300 relief centres in six districts including Nagapattinam, Pudukottai, Ramanathapuram and Tiruvarur. A holiday has been declared for educational institutions in Nagapattinam. Rains lashed Nagapattinam, Tiruvarur, and Thanjavur during the cyclone’s landfall, uprooting trees in several regions. Electricity supply was disconnected in Nagapattinam and several other coastal regions in view of the cyclone’s landfall as a precautionary measure, officials said. Four teams of National Disaster Response Force personnel have been already deployed in Nagapattinam district while two teams of the state disaster response force in Cuddalore district. The state disaster management authority had released an animated video to create awareness on the do’s and don’ts during the cyclone. The government has also announced helpline numbers 1070 (state-level) and 1077 (districts). IMD has predicted rainfall at most places with heavy rains at a few places and very heavy at isolated places very likely over south and north of interior Tamil Nadu. I didn’t leave Puerto Rico until I was 20. I was traveling to Europe with my college theater group when an immigration official in Spain said, “Oh, you’re American.” I tried to tell them, “Yes—but no.” I tried to explain that I am an American citizen in a place that “belongs to…but is not a part of” the United States, according to the Supreme Court’s definition of an unincorporated territory. Once we graduated, my Latin American friends had to leave the country. That was strange for me—that they couldn’t stay and I could. Yet I knew the history of Puerto Rico and what that advantage had cost us. In 1898, Puerto Rico was acquired by the United States as a “spoil” of the Spanish-American War along with Guam and the Philippines. Until 1948, all our governors were appointed by the U.S. government. Until 1957, our patriotic songs and other expressions of nationalism were outlawed. Even today, our government exists under the discretion of Congress—though we do not have a voting representative in that body. 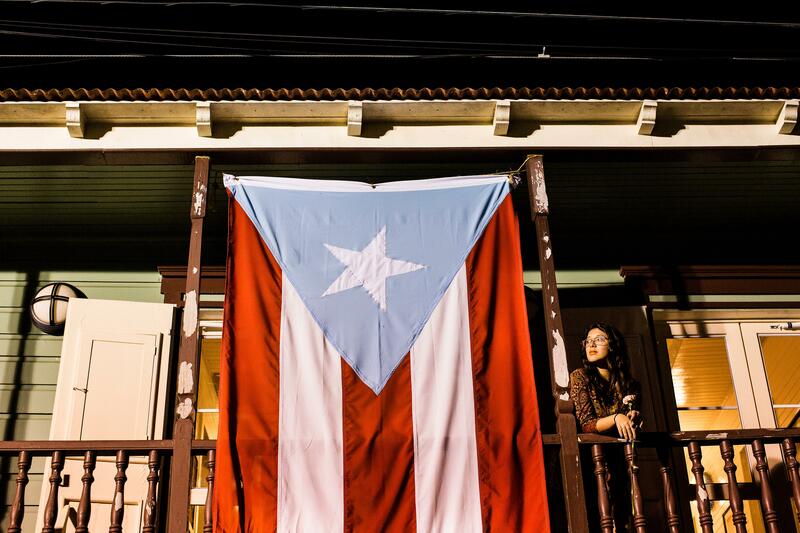 Since 1967, there have been five referendums in Puerto Rico on statehood, independence or maintaining the commonwealth, but all have been nonbinding. So we exist in a confusing, kind of gray realm. We use U.S. dollars and U.S. postage stamps. We serve in the U.S. military and our borders are monitored by U.S. Customs. In my California student days, I’d give my phone number to friends and they would ask if it was an international call. I had to check with my telephone company to find out (it isn’t). That’s Puerto Rico. I’ve been documenting this ambiguity for the past six years, starting with an internship at a Puerto Rican newspaper. I began photographing everyday moments: a salsa class at a bar, Mother’s Day with my family, festivals and political events. I could be at a rally, where everyone was shouting. But the best photo would be the one where a woman holding a sign was looking down and being introspective. You could feel her withdrawing into her own thoughts. 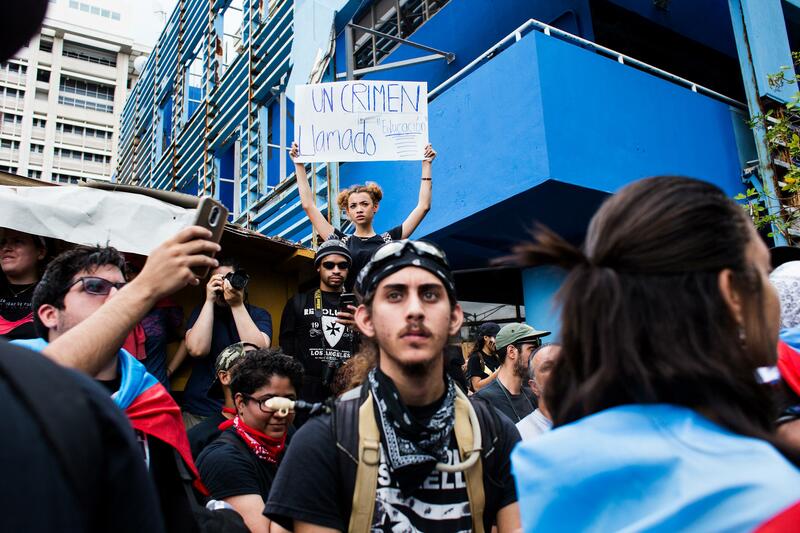 After Hurricane Maria ravaged everything in its path last year, there was a sense of unity among people of the archipelago. Under complete darkness, without sufficient fuel, water or food, and largely without communications, our sense of community changed. 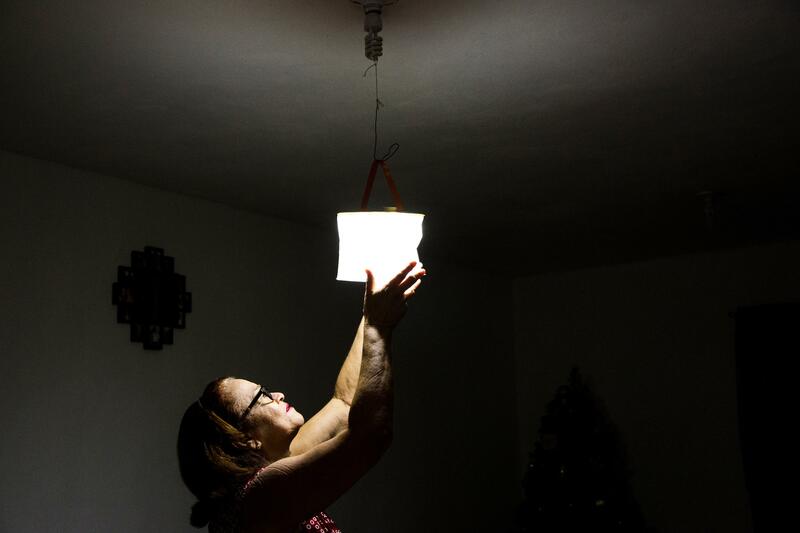 It was visible in the young neighbor who collected and distributed water for months after the storm, and in the person with a power generator who would provide electricity to other families through extension cords crossing from one home to another. It was visible in the neighbors who cooked together on the only working gas stove on their street. Tension and despair were real, but a new solidarity emerged. But we’re still dealing with the aftermath. In San Juan, where I live, I regularly still see broken electrical posts, missing traffic lights and blue plastic tarps covering damaged rooftops. The power still goes out short term. 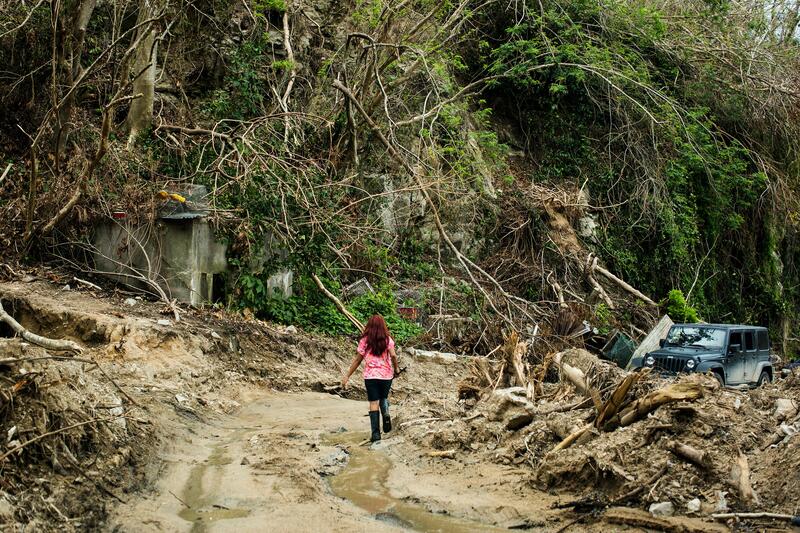 Things are much worse in the mountain town of Utuado. 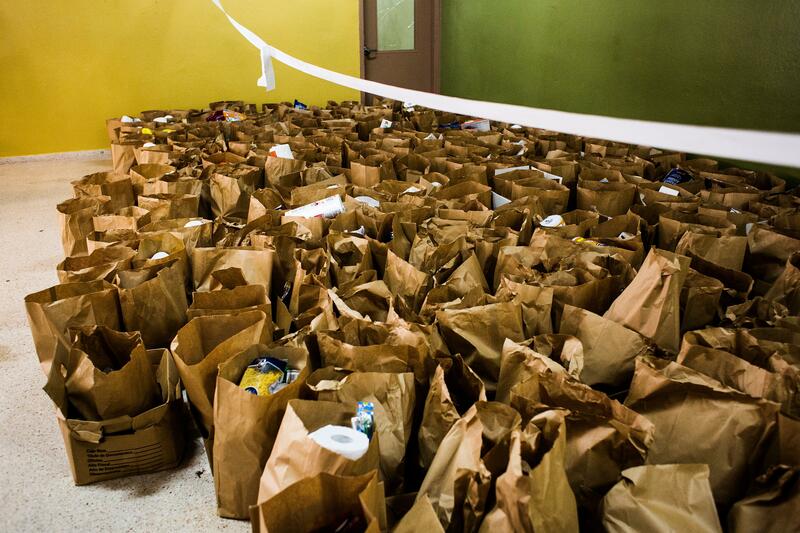 Communities there have been without power since the hurricane, unable to store food in their refrigerators, and many roads remain exactly as they were back in September. Electrical cables hang overhead and vegetation now grows in the mudslides that cover entire lanes. The phrase “Se fue pa’ afuera”—literally, “he went outside”—is an expression for a Puerto Rican who has left the island on a one-way flight. It has become far too common. I’ve been to many tearful goodbye parties. My sister left for Chicago and has no desire to ever return; I was introduced to my newborn godson over Skype. I continue to see friends find better possibilities outside. We won’t know until the 2020 census how many people have already left. Since the beginning of the recession in 2006, Puerto Rico has lost around 635,000 residents, and another half million are expected to leave by next year. As a young Puerto Rican, I’m unsure what lies ahead. That’s why I want to stay and continue documenting our complex dual identity. 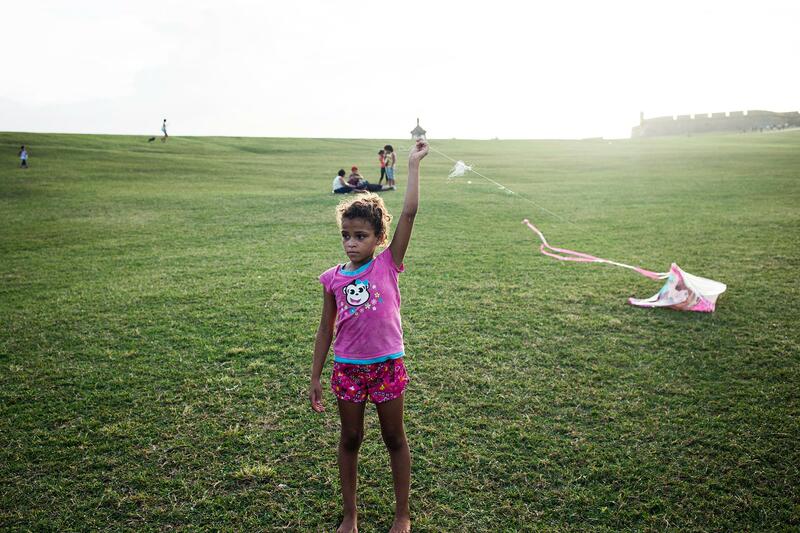 I want to photograph Puerto Rico as we rebuild, or fall apart. I just can’t look away. There’s no room in my mind or heart for anything else. Over 1,000 (one thousand!) people have died in Puerto Rico (above the average death rate) in the first three months after Hurricane Maria (through November). So far we only have data for the first three months—September, October and November. There is no information on the causes of death so far but Puerto Rico’s Center for Investigative Journalism has sued the government for the cause of death data. Even in November, the latest month for which we have data, there were still 115 more deaths than usual. Although we don’t yet know the causes of these deaths, is there any doubt that the government’s poor response to the devastation played a major role? The lack of shelter, drinking water, food, electricity and adequate medical care, I’m sure have all played a roll. The “official” death toll of course has stayed at 62. Keep in mind that these deaths, over and above the usual number of deaths for the time of year, occurred even though the population was shrinking due to outmigration to the mainland. The total number of deaths above average in September, October and November was 1,230, according to Alexis Santos, a demographer at Pennsylvania State University who obtained the data from the Puerto Rico Institute of Statistics and conducted an analysis that he released to the Los Angeles Times this week. Of those deaths, 491 occurred in September and 584 in October — figures very close to estimates Santos published late last year based on more limited data. Keep in mind that these death “overages” occurred despite the overall shrinking of the population. Hurricane Harvey, for example, killed about 60 people in the Houston area and then another 26 due to “unsafe or unhealthy conditions” related to the loss or disruption of services such as utilities, transportation and medical care. Nobody was still dying a month later. Is this any way to treat US citizens?!? This administration has blood on its hands! 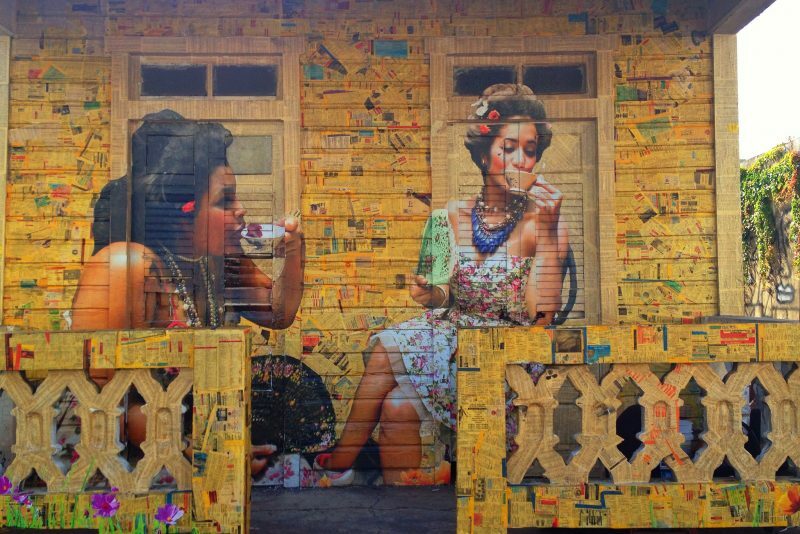 Puerto Rican Graffiti. Photo by Flickr user Juan Cristóbal Zulueta. Used under Creative Commons Attribution 2.0 Generic (CC BY 2.0) license. You came to Puerto Rico for the golden sand and sun—gold, you will recall, was also the basis of our first colonizers’ initial attraction. For the endless piña coladas and rum-spiked mysteries. For the colonial charm and quaint, humble lifestyle. Poverty looks so alluring in the Caribbean, what with the bright colors, crystal-clear waters and the backdrop of lush greens—besides, it’s only for a week. Your friends say it’s the hottest Spring Break spot; the newspapers say it’s a debt-ridden disaster; your parents say it’s dangerous and that the water is undrinkable; and the brochures say it’s a (tax) haven, an absolute paradise. So here you are, in your bathing suit and sarong, mojito in hand, ready to focus on your one task for the week: getting a tan. But it turns out that the sun isn’t nailed onto the sky, and it doesn’t run on one-million 100-watt light bulbs that never fail. The tides rise and the swells are ferocious. Coconuts, palm trees and branches are potential projectiles. And a hurricane is heading straight for your worry-free fantasy. So you try to catch a flight out of this paradise-turned-inferno, because a hurricane was not on your must-see itinerary. Instead, JetBlue takes you to a hurricane shelter in San Juan, a hot and humid coliseum, where your beach chair is replaced by a cot; your piña colada by a Walgreens water bottle; your dream, by our reality. The power was out in my house as I imagined the scenario above, which had taken place the day before, right before Irma’s arrival. After Irma’s passing the next morning there were more than a million households without power. The Electric Power Authority (AEE) was predicting the outages would last two to four months, and almost 80,000 households had lost water service as well. 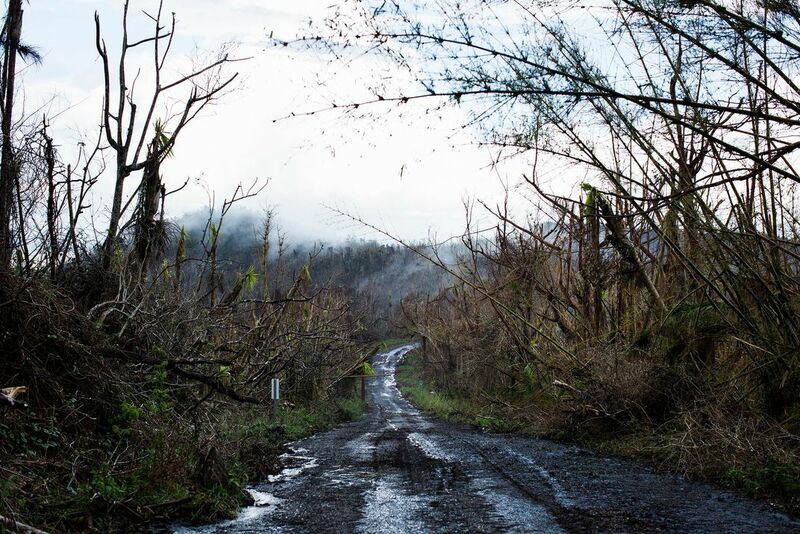 Over 6,200 people were in shelters on the northeastern side of the island, and Puerto Rico’s agricultural industry had suffered $30.4 million in losses. 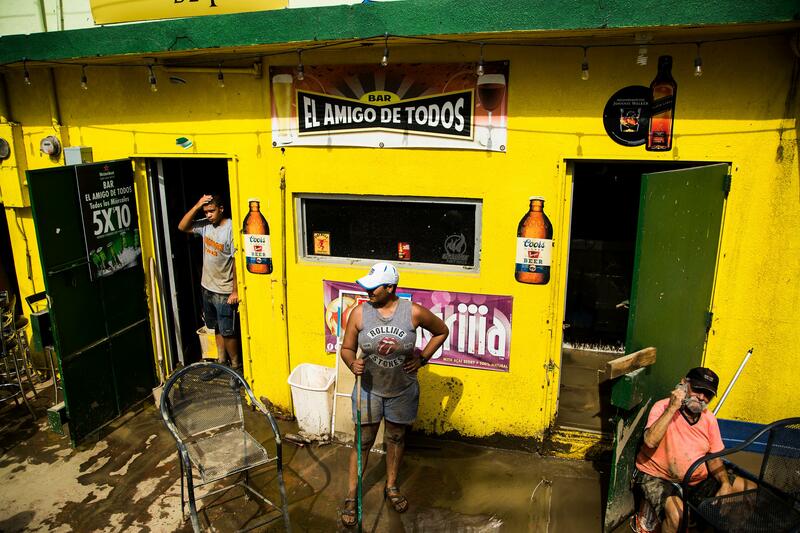 The Federal Emergency Management Agency (FEMA) and Governor Ricardo Rosselló were still evaluating infrastructural and residential damages. And now a powerful new storm was heading our way: María. Puerto Rico is no stranger to crisis. 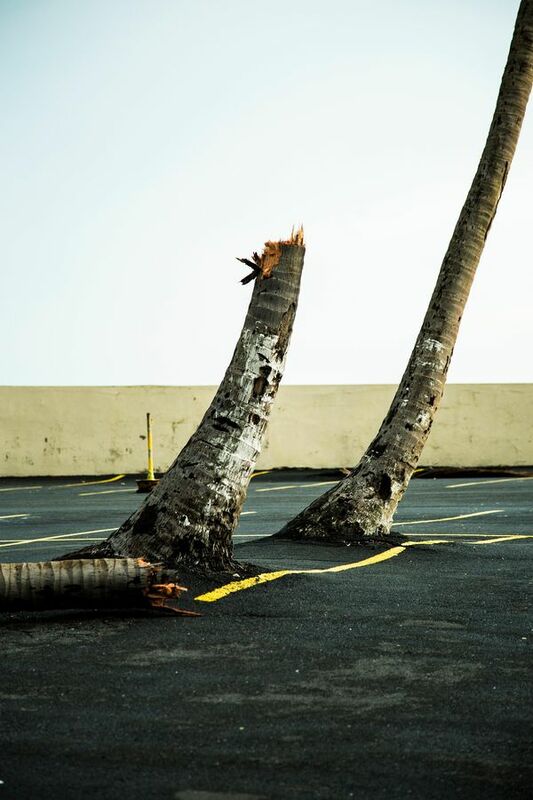 Before Irma’s rampage through the archipelago, Puerto Rico was already in the midst of one of the most devastating financial and socio-political crises in its recent history, with an unaudited $74 billion debt under its belt, $49 billion in pension obligations, and several decades’ worth of illegal bond issuances and trading related to its status as an overly-advertised tax haven. Neoliberal policies such as draconian budget cuts and extreme austerity measures had already rendered life in Puerto Rico quite precarious. And the whole thing was being overseen and managed simultaneously by Governor Rosselló, an unelected and antidemocratic Fiscal Control Board, and judge Laura Taylor Swain, all of whom were going back and forth on the country’s fiscal management and debt restructuring processes. But even as Hurricane Irma headed straight towards it, for many outside of the country, Puerto Rico is a mere blip on CNN’s news ticker, an enchanting US-owned island on a tourist brochure, that exotic place where the music video for “Despacito” was filmed (and made all the better by Justin Bieber), a pebble sinking between an ocean and a sea that have seen too much. But Irma’s passing and aftermath have once again brought to light Puerto Rico’s primordial conundrum: colonialism. 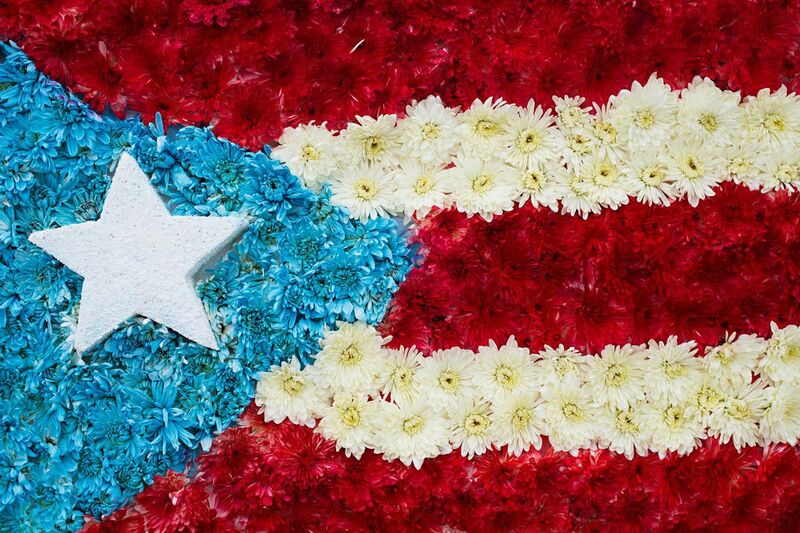 Puerto Rico has been a US colony (the US prefers the euphemistic designations of “commonwealth”, “unincorporated territory” and “free associated state”) for 199 years, a relationship that has led to the country’s being trapped in a steep downward spiral. The current fiscal and socio-political crisis is only one of the side effects of this relationship. 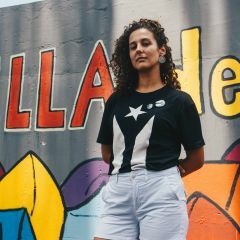 Hurricane Irma’s passing underscored the damage done by the neoliberal austerity measures imposed by the Fiscal Control Board and the crimes committed by corporations taking advantage of Puerto Rico’s colonial status. For starters, as a result of the massive closure of public schools, only 329 schools across the island were available as hurricane shelters compared with the 372 available during Hurricane Bertha’s passing in 2014. Puerto Rico’s infrastructure also finds itself in an advanced state of deterioration, including roads, bridges, the University of Puerto Rico and public service buildings all of whom were critically endangered during Irma’s passing. A good part of the country’s “essential infrastructure” is on the coast, making it vulnerable to flooding, high tides and storm surges, especially during hurricanes of Irma’s or Maria’s intensity. It is notable that much of that infrastructure was built to benefit the tourist industry and mercantile trade with the US, and the US alone. Money invested in infrastructure tends to go towards revitalizing these “essentials”, not to repairing the potholed roads in our communities, remediating asbestos-filled buildings or replacing crumbling light poles at the mercy of hurricane winds. All of this is further proof of our colonial market dependency and the essentially colonial nature of the tourist industry, which caters particularly to PR’s relationship with the US. Even the disaster declaration signed by the US President authorizing FEMA assistance for Puerto Rico second-rate, allowing only for search and rescue, public health and safety, and debris removal. It didn’t include rebuilding or even restoration of power, and with the current fiscal crisis and the Fiscal Control Board’s silence since Irma’s passing, rebuilding and restructuring will be a tough feat for Puerto Rico given the lack of available resources. The budget cuts, in an already weak economy, will probably make the storm’s social impact worse. Minet added that a pre-Irma forecast by the Center for a New Economy’s policy director, Sergio M. Marxuach, predicts that the recently approved the Fiscal Plan would result in another lost decade, continued population loss due to migration and lower birth rates, lower employment, less access to public education, pension cuts, worsening health outcomes, higher mortality and lower life expectancy, and, ultimately, higher rates of poverty and inequality. “Now add in the cataclysm of a monster hurricane that the plan never accounted for,” said Minet. The Fiscal Control Board is likely to use Irma as an excuse to aggressively push the many policies it has in line, such as the privatization of PR’s Electric Power Authority (AEE). Nor would it be surprising if Gov. Rosselló and the Fiscal Control Board used the occasion to dismantle and privatize the University of Puerto Rico, the only public higher education institution in the country, as well as a number of other public institutions that are defenseless against the colonial rule of the Fiscal Control Board and its blatant neoliberal attacks. Now, barely two weeks after Irma’s passing, we’ve just been hit by another category 5 hurricane, María. This just as some household have just got back their electricity supply, and while others are still living in the dark; while the ground is still strewn with fallen trees and light posts waiting to take on second lives as projectiles; while many, both locals and refugees from neighboring Caribbean islands, are still recovering from the loss of their homes, their entire reality; and while crisis and colonialism continue to hold hands, as they do every day. And so, you’re sitting in your cot with your straw hat on, hundreds of locals scrambling around you with what’s left of their lives stuffed into a bag or a suitcase, wondering why JetBlue dropped you off here and high-tailed it; why the shelter is so understaffed; why the power went even though it hasn’t yet started raining and not a gusts of wind has blown; why CNN wasn’t covering Irma’s passing over Puerto Rico. “I’m here, send over an Embassy representative for me!” you yell in your mind as you stare at the screen of your almost-dead smartphone. Why, you wonder, has life had been so unfair to you, ruining your longed-for vacation in the Island of enchantment. Then your thoughts are interrupted as you spot a window and you walk gloomily towards it and look through pigeon-christened glass, and watch as the storm clouds gather and gusts of wind batter a US flag—oh, and a Puerto Rican one too. As Hurricane Irma departed Antigua and Barbuda’s usually pristine reef-ringed beaches with the pink and white sand, islanders struggled to grasp the destruction to Barbuda’s schools, churches and the homes that many had used their life savings to build. Irma somehow spared Antigua, which was open for business by Thursday morning. But on Barbuda, the smaller of the two islands, the ferocious and historic Category 5 hurricane had turned the typically gentle Caribbean winds into violent gusts that decimated Codrington, the sole town on the 62-square-mile island. “Barbuda right now is literally a rubble,” Antigua and Barbuda Prime Minister Gaston Browne said. 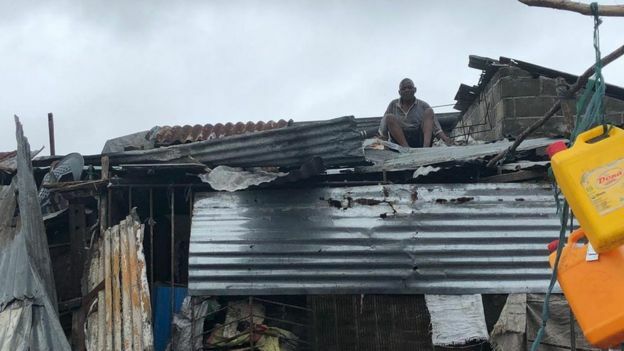 Browne said nearly all of the government and personal property on Barbuda was damaged — including the hospital and the airport, which he said had its roof completely blown away. At least one person, a young child, was killed on the island — one of numerous deaths reported across the Caribbean in Irma’s horrific aftermath. Now, these victims face yet another threat — a second hurricane, Jose, which appears to be coming for the same islands that are trying to dig out from Irma’s devastation. The National Hurricane Center released an ominous bulletin Thursday about the new menace looming in the Atlantic: “JOSE EXPECTED TO BECOME A MAJOR HURRICANE BY FRIDAY … WATCHES ISSUED FOR THE NORTHERN LEEWARD ISLANDS.” By early afternoon, Jose had gained Category 2 status, and Antigua and Barbuda issued a new hurricane watch. “We are very worried about Hurricane Jose,” Browne said Thursday in a phone interview with The Washington Post, adding that Irma left about 60 percent of Barbuda’s nearly 2,000 residents homeless and destroyed or damaged 95 percent of its property. Browne will make a determination by Thursday night about whether to order a mandatory evacuation ahead of Jose’s potential landfall, but added that those who want to leave Barbuda now are being ferried to nearby Antigua. As Irma continues its merciless churn toward the U.S. mainland, the first islanders left in its wake are only beginning to decipher the scope of the storm’s ravages. 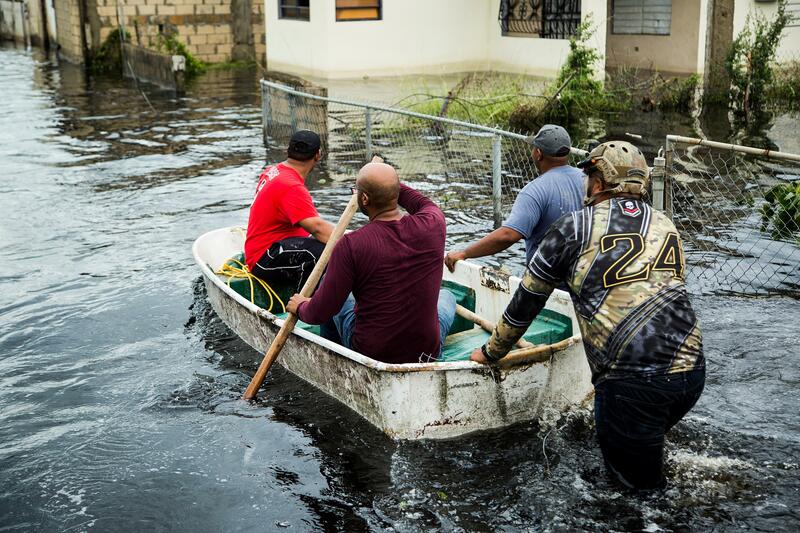 Deaths have been reported throughout the Leeward Islands, a vulnerable, isolated chain arcing southeast from Puerto Rico, which reported at least three deaths of its own. Officials throughout the Caribbean expect the body count to rise. After first making landfall in Barbuda, then strafing several other Leeward Islands, Irma raked the Virgin Islands and Puerto Rico, leaving nearly 1 million people without any electricity. The Dominican Republic, Haiti and the Turks and Caicos Islands are next in its path. Closer to Florida’s southern tip, the Bahamas remain in danger, and mass evacuations are underway. The United Nations has said that Irma could affect as many as 37 million people. The majority are on the U.S. mainland, but the residents of tiny islands in the Eastern Caribbean were hit first — and hardest. Aerial footage showed homes with walls blown out and roofs ripped away. It is, he told The Post, “one of the most significant disasters anywhere in the world” on a per capita basis: Browne said it would take an estimated $100 million to rebuild — a “monumental challenge” for a small island government. 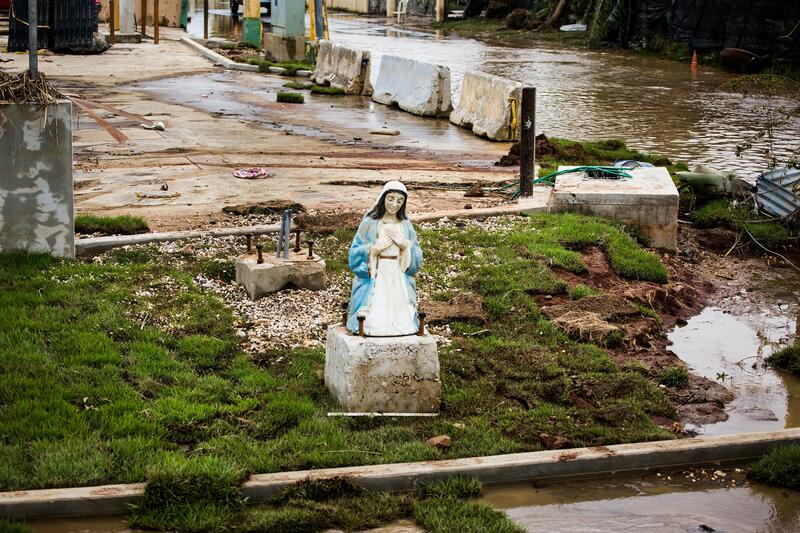 Ghastly images from St. Martin and St. Barthelemy (also known as St. Barts) showed cars and trucks almost completely submerged in the storm surge, and several buildings in ruin. Witnesses on other islands described horrific destruction and a breakdown in public order: no running water, no emergency services, no police to stop looters — and a never ending tide of newly homeless people wandering the streets amid the devastation. There was little sense that authorities had the situation under control, she said. 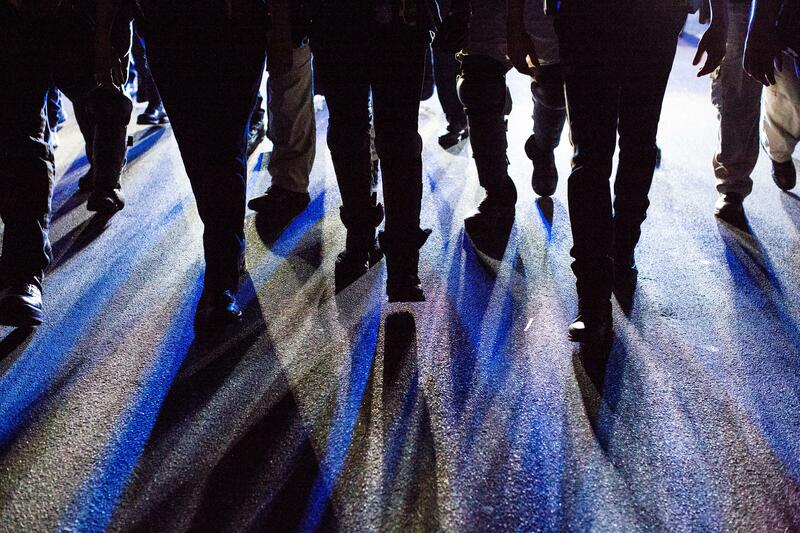 Supermarkets were being looted and no police were visible in the streets. Occasionally, soldiers have passed by, but they were doing little to impose order, she said. “People feel powerless. They do not know what to do. You see the fear in their eyes,” she said. In Anguilla, part of the British West Indies, the local government is “overwhelmed” and desperate for help, Anguilla Attorney General John McKendrick told The Post late Wednesday. Officials were barely able to communicate among one another and with emergency response teams, he said. With most phone lines down, they were dependent on instant messaging. It appears that at least one person died in Anguilla, he said. The Dutch government said that it was sending two military ships carrying smaller emergency boats, ambulances and emergency equipment to Sint Maarten. French Interior Minister Gerard Collomb said 100,000 rations — or about four days’ worth of food — are en route to the victims to St. Barts and St. Martin. British Prime Minister Theresa May said the government is allocating more than $41 million (U.S. dollars) for hurricane relief efforts. Britain’s international development secretary, Priti Patel, announced Wednesday that the British navy, along with several Royal Marines and a contingent of military engineers, had been dispatched to the Caribbean with makeshift shelters and water purification systems. While some in England criticized the response, McKendrick told The Post that he’s worried that they, too, will quickly become overwhelmed by the amount of work that must be done to restore a sense of normalcy. Elsewhere on Anguilla, some informal reports were less bleak. The Facebook page for Roy’s Bayside Grill, for instance, remained active as Irma passed. Phone lines to the restaurant appeared to be down by the afternoon, and messages left with the Facebook page’s administrator were not immediately returned. About 1 p.m. Wednesday, the restaurant posted a panoramic photo on Facebook that appeared to show several buildings. The decking on one appeared to be ripped apart, and debris was scattered about the beach. One industrial building had a hole in its roof, but by and large everything was still standing. Michael Birnbaum and Annabell Van den Berghe contributed to this story from Brussels. Cleve Wootson and J. Freedom du Lac contributed from Washington. This post has been updated. Andrew deGrandpre is a staff writer at The Washington Post. Previously, he spent more than 11 years as an editor and reporter for Military Times. Lindsey Bever is a general assignment reporter for The Washington Post. A strong earthquake off the Pacific Coast of Central America shook the region on Thursday just as a hurricane barreled into the Caribbean coasts of Nicaragua and Costa Rica, but there were no immediate reports of any quake damage. Emergency services in El Salvador said on Twitter it had received no reports of damage at a national level, but urged those living along the country’s Pacific coast to withdraw up to 1 kilometer (0.62 mile) away from the shore. The 7.0 magnitude quake, initially reported as a magnitude 7.2, was very shallow at 10.3 kilometers (6.4 miles) below the seabed, which would have amplified its effect. Its epicenter was located some 149 km (93 miles) south-southwest of Puerto Triunfo in El Salvador, according to the U.S. Geological Survey. The Pacific Tsunami Warning Center warned that tsunami waves of up to 1 meter (3 feet) could hit the Pacific coasts of Nicaragua and El Salvador after the quake, but later said that available data showed the threat had passed. Nicaraguan President Daniel Ortega declared a state of emergency due to the quake and Hurricane Otto, which landed on the country’s southeastern coast earlier on Thursday, his spokeswoman said. Earlier on Thursday, the Category 2 Hurricane Otto hit land near the southeastern coast of Nicaragua, where thousands had already been evacuated away from vulnerable coastal areas and into shelters. 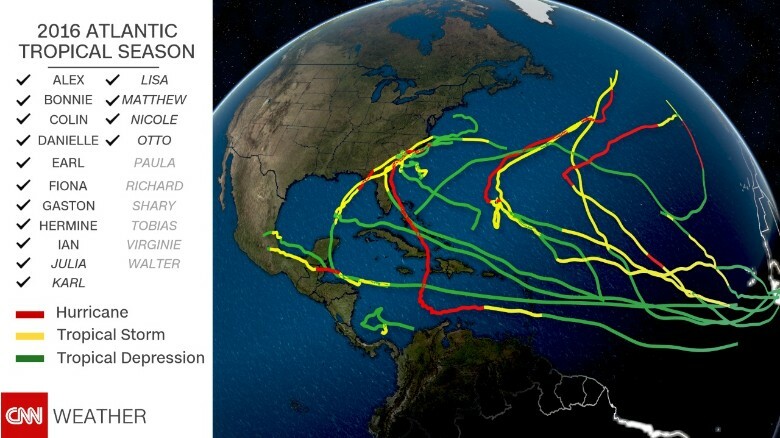 Atlanta (CNN) The Atlantic hurricane season may be coming to an end, but not before one last storm brings some rare and significant impacts. 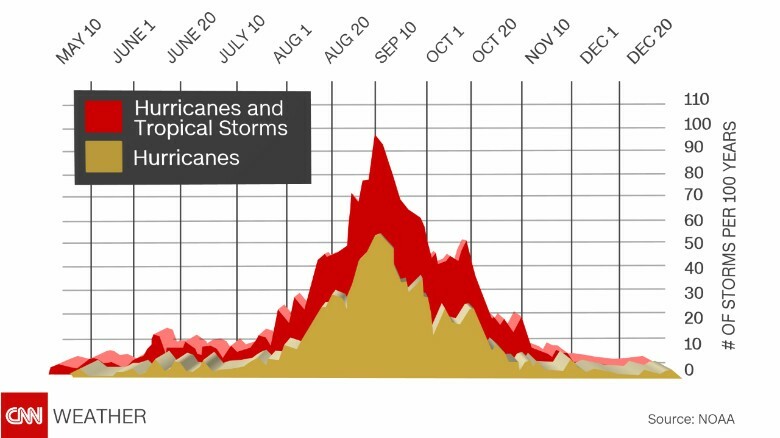 Hurricane season officially ends on November 30, and while the month of November can have named storms, the season is generally winding down. Impactful storms are infrequent occurrences, especially this late in November. Otto formed in the southern Caribbean early this week as the National Hurricane Center closely monitored the area. The storm has steadily strengthened and on Tuesday afternoon became the 7th hurricane of the season in the Atlantic basin. Otto is developing later in the season than any Atlantic basin hurricane since Hurricane Epsilon in 2005. Additional strengthening is expected, and Otto could become a category 2 storm before making landfall near the Nicaragua/Costa Rica border on Thursday. While the Caribbean is one of the few areas with warm enough water to support a hurricane this late in the season, a storm making landfall this far south is extremely rare. Otto is expected to be the southernmost hurricane landfall since Irene hit Nicaragua in 1971. If it makes landfall in Nicaragua it will be the first hurricane to do so since Ida in 2009. And most impressively, if Otto makes landfall in Costa Rica, it will be that country’s first hurricane landfall in recorded history (since 1851). Track the latest weather story and share your comments with CNN Weather on Facebook and Twitter. This portion of Central America is unaccustomed to hurricane landfalls. It also has steep terrain, which makes the area prone to flooding and landslides from a slow-moving storm. CNN’s Judson Jones contributed to this story.